D’fhoghlaim Rang 3 faoi Contaetha na hÉireann an tseachtain seo. Bhí muid in ann an léarscáil mór atá sa rang a úsáid le contaetha a aimsiú. 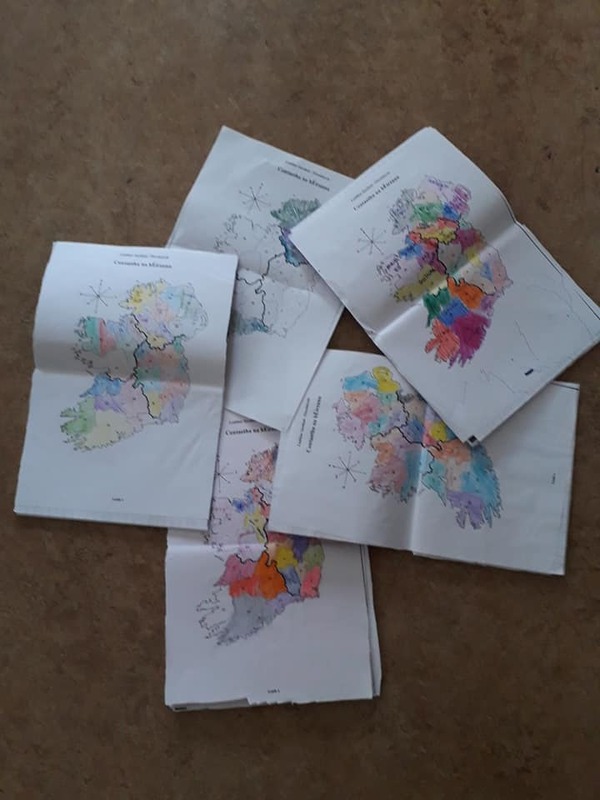 Bhí muid in ann ealaíon a tharraingt isteacht san gceacht chomh maith agus thaithin sé go mór leis an rang na cuigí/contaetha éagsúla a dhathú. 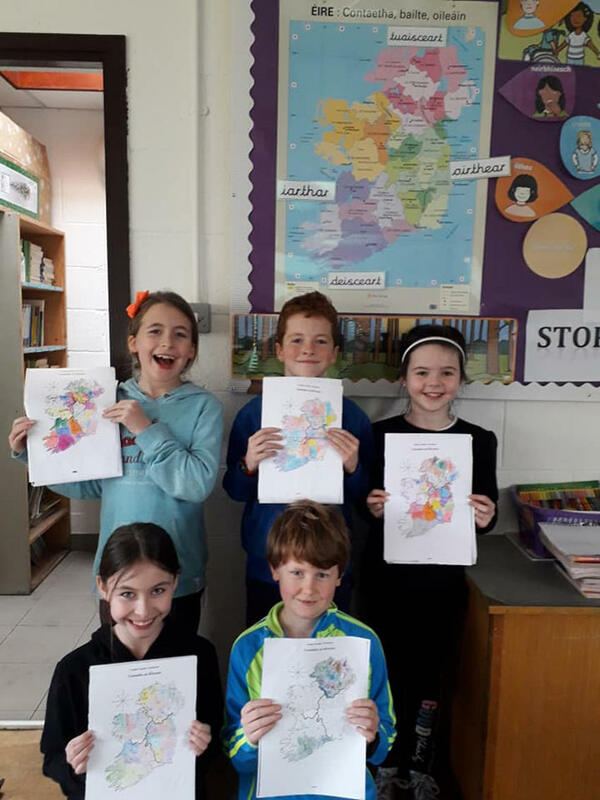 We learnt about the Counties of Ireland this week in Rang 3. We were able to use the big map hanging in the class to find the different counties. We were also able to bring some art into the lesson. The class enjoyed getting to colour the different provinces/counties.